There are a number of outstanding Ignatian Spirituality resources available on the web, including those links at the right column of this blog. 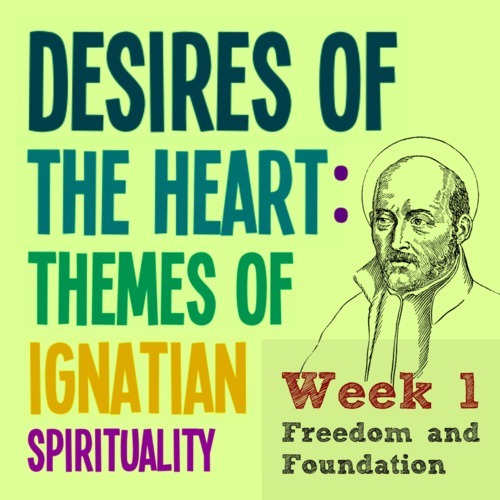 However, I want to especially mention that Andy Otto, author of the outstanding blog and podcast God in All Things, is starting a ten-week primer on Ignatian Spirituality. Week 1 can be found here. If you are not familiar with Ignatian Spirituality, this is an outstanding introduction and I encourage you to visit it. This entry was posted in Ignatian Spirituality and tagged Andy Otto, God in All Things, Ignatian, Ignatian Spirituality, Jesuit, St. Ignatius of Loyola. Bookmark the permalink. Yes, it is an absolutely fantastic post. I’m onto week 2 and finding this a source of real blessing. Thank you for pointing it out. Thank you for the kind words Jessie. I just listened to Week 2 and it is excellent also. Andy has outstanding resources on his site.